The hits just don't stop coming! Are the console wars back on? Is the Xbox Division in free fall? Are Sony scrambling to retain their PR wins? 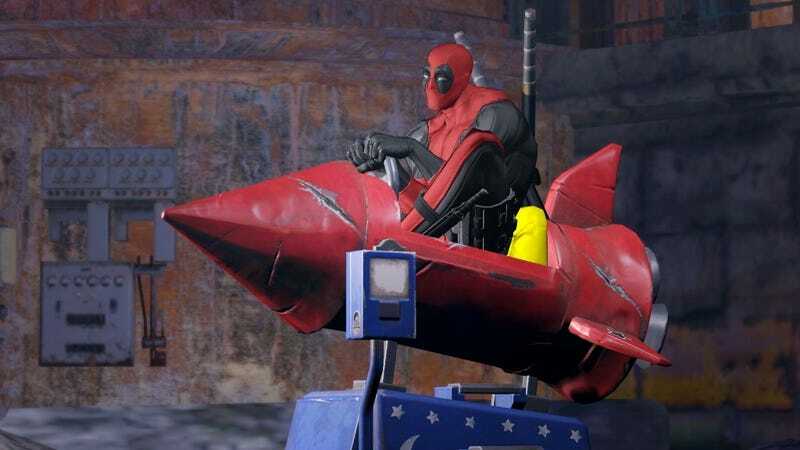 Is the new Deadpool game any good!? We've not got the answers here, but stay anyway and talk shop in this week's Tuesday Game Room! Before we get started, a small announcement - As Nctrns pointed out to me last week, io9 has an O-Decker community on Steam! If you're a big PC/Steam gamer, and want to play games with likeminded Niners, go check it out. I hear they'll have trading cards soon! Another light week for me, still sort of in that halfway point from E3 of watching so many trailers again and again, and wanting to actually playing some games. I sank a little more time into Fire Emblem: Awakening, played a little more Marvel Heroes, but oddly enough, the game I've spent the most time this week is over a decade old. During game lulls I tend to look far back into my collection for games to play, and Final Fantasy IX is one I always come back to. It feels like the underdog of the Playstation era Final Fantasies, where memory is typically dominated by Final Fantasy VII - but as much as I adore VII, and owe it for shaping the game fan that I am today, Final Fantasy IX will always be the FF game closest to my heart. It's the ultimate love letter to the series legacy, where time honored gameplay traditions meld with a gorgeous aesthetic nod to the series past - easily one of the most technically competent and visually stunning games made for the platform - and it's just packed with fascinating, multilayered characters that are full of charm. FFIX is the game that I hope the future of Final Fantasy will one day aspire to, rather than VII - I would kill for an FF game of its ilk on next generation platforms. Also, there's the unspoken truth that Vivi is easily one of the greatest characters the entire franchise has offered. Man, Vivi. He is the best! Another weird week for releases, as games come in fits and starts and the Cross-Gen limbo beckons - but there's still a few releases! Company of Heroes 2, the Russian-themed sequel to the premiere WWII RTS finally hits shelves, Game and Wario brings minigame weirdness to the Wii U, and Deadpool breaks through the fourth wall and onto consoles with his own game from the studio behind the pretty great Transformers Cybertron games. In smaller releases, the viscerally satisfying indie game Hotline Miami makes a coke-fueled beeline for PS3 and PSVita, and the final, D&D-themed slice of Borderlands 2 DLC, Tiny Tina's Assault on Dragon's Keep drops on all available platforms this Tuesday. Hey, maybe don't updated your PS3 to the newest Firmware patch - an unfortunately timed bit of egg on Sony's face, Update 4.45 to PSN had the unexpected side effect of bricking users consoles as well. A fix for the firmware will be up later this week, but for now, this sort of thing may begin to niggle at Sony's goodwill as PSN becomes a paid service on PS4. Let's hope we don't have a digital future where automatic updates come with a side of console destruction. Pre-owned Games live to fight another day, but at what cost? - With Microsoft's DRM U-turn last week, trading and purchasing used games maintains its status quo into the next generation of consoles. But with developers having mixed feelings on the good or harm used games can do to an industry with rapidly spiralling production costs, is what's ultimately good for the consumer beneficial to games development? This article is worth reading just for Cliff Bleszinski's... passionate reaction. 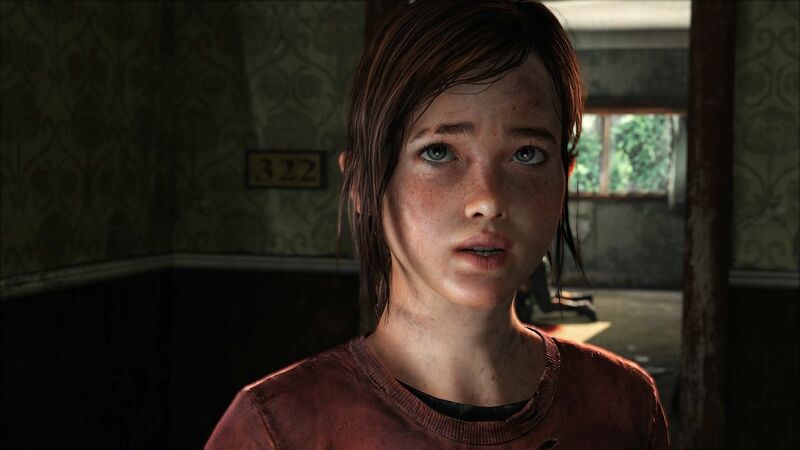 The Last of Page: Ellen Page is 'flattered' but doesn't appreciate her likeness being 'ripped off' for The Last of Us' Ellie - During an AMA for Reddit, the actress got in a sideswipe at Naughty Dog for the original design of Ellie in The Last of Us, who bore a striking resemblance to her. The character was ultimately redesigned to better reflect her voice actress... conveniently around the same time Page was attached to Quantic Dream's Beyond: Two Souls, something which Naughty Dog quickly denied was the impetus for the change. But come on! She was totally Ellie Page! This year's Year of the Bow is truly Year of the Page. In the age of 'cinematic' gaming, is it narrative or gameplay that defines video games? - Speaking of The Last of Us, Dan Whitehead takes an intriguing look at gaming's growing desire to emulate Movies, and if that desire will ever top the interactivity that makes gaming a unique medium.